Let the brilliant 6.1" WVGA touch screen display entertain and inform you with an easy-to-use, advanced response interface sure to please. Pop in a DVD and turn your car into a mobile movie theater, keeping everyone quieted down on long road trips. Quickly connect, charge and control your iPod, iPhone or compatible music player via front USB 1-wire input. Gesture command and on-screen touch buttons make everything easier to control and separate audio and video power supply circuits provide added clarity. Connect your iPhone or iPod Touch via the optional RC-202IPV cable to playback video and audio or display compatible apps on the receiver screen7. Passengers can control compatible apps directly from the iPod or iPhone with Passenger App Control. 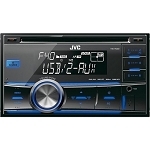 The high-resolution TFT (WVGA) 6.1” touch screen display will inform and entertain you. Gesture command and on-screen touch buttons make everything easier to control and separate audio and video power supply circuits provide added clarity. Front USB input lets you connect almost any portable USB audio device to your system. Connect, charge, and control your Walkman® player, most iPod, iPhone or other USB devices via the front USB 1-Wire input and view song title and artist on the display. Organize your music into playlists that perfectly match your mood, scene and location, making it easier to choose the music that fits the moment with the SensMe™ application. 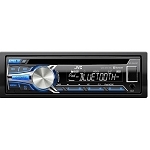 Easily take calls and stream audio with the XAV-64BT receiver featuring Bluetooth® technology. Connect to compatible devices5 and choose between hands-free phone access or audio streaming. 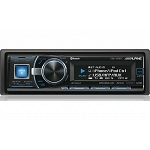 Connect your iPhone® or iPod® Touch via the optional RC-202IPV cable to display compatible app content on the XAV-64BT receivers display and control the app directly from your iPhone or iPod Touch with passenger app control. Use the ZAPPIN™ feature to play 6, 15, or 30 second intro clips to help you find a specific song. 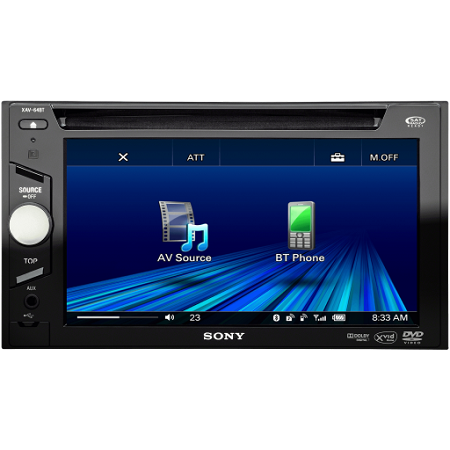 The dedicated rear auxiliary AV input provides additional source playback and a connection the Sony® XA-800C rear view camera (sold separately) for visibility when backing up, especially with larger trucks or SUVs. Playback audio/video7 from most iPod® models via RC-202IPV video cable. Also view stored album artwork during audio playback on the screen of the XAV-64BT receiver.